The opossum is a marsupial. Other members in this category include the koala, kangaroo and Tasmanian devil. Usually, marsupials give birth to young that are fetal-like after a very brief gestation period. The young ones nurse for a long period. 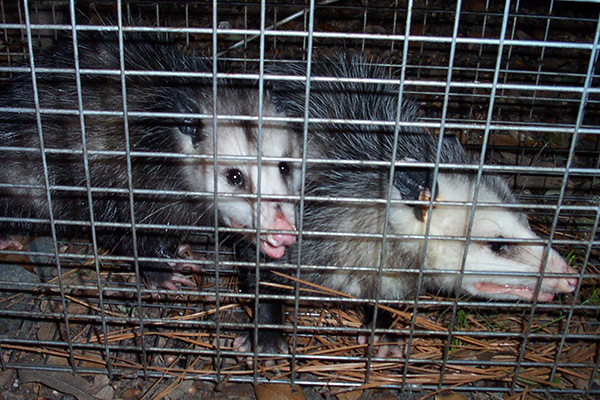 The placenta of the opossum is not invasive and it acts to transfer waste and nutrients for that short gestation period. Because of the fact that the placenta doesn’t function for a long time, the young have to come to the world early. At birth, the young are barely embryos and they have to climb with a motion that looks like swimming on the abdomen of the mother and then they latch on to a teat. The female opossum has a pouch that is well developed. The opossum reproductive system is something that has for a long time been held in fascination by many, and very interesting folklore has been developed. There was once a myth that the males mated with the females through the nose and that she had to sneeze her young into the pouch. This was believed to be true because of the size of the baby opossums at birth. The birth of an opossum isn’t so easy to witness. The female reproductive tract is internal and it is bifurcated. An opossum can give birth to 6-25 young a year. This is another interesting aspect regarding the opossum. The sperm heads usually align so as to pail within the reproductive tract as the sperm matures. Sperm is then ejaculated in pairs, and within the female they still remain paired until just before fertilization occurs and they separate. This is a process that is very fascinating and no one really understands why it occurs. It also only occurs in the marsupials within America but not those in Australia. It may be because the pairing increases the motility of the sperm within the female tract and it may help in the protection against acrosomes as they make their way in the tract. This may differ according to the area and the weather prevailing in the opossums’ location. Virginia opossum can start in December and go through to October. Many of the infants are born in between the month of February and the month of June. Opposums are unique creatures and this certainly applies to their mating and reproductive behaviors as well.